In a deadly terror attack on the Indian Army at Uri, in Jammu & Kashmir, on Black Sunday, 18 September 2016, 17 Indian soldiers were martyred and many were seriously injured. The atrocity was, of course, deplorable. But it also rings an alarm bell to warn of great trouble and the need for action. It's time India became aware of the menace of Wahhabism, which is detrimental to the internal security of the nation and the people. After the Kaluchak tragedy on 14 May 2002, which took the lives of 12 civilians and 22 security personnel, the Uri terror assault came as a bloody dance of destruction. 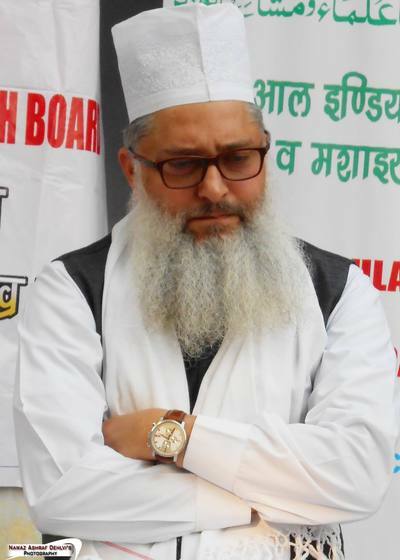 It took place in the valley of Jammu & Kashmir which is in the acute grip of the Wahhabi ideology, eliminating the peaceful, pluralistic Rishi-Sufi tradition. Therefore, we condemn, in the harshest terms, the terrorist organization, Jaesh-e-Mohammed (JeM), conceived and led by Maulana Masood Azhar who champions the violent extremism stemming from Wahhabism in Pakistan. He is on record indoctrinating gullible youth in the neighboring Muslim country, since the time he was released by India in a swap for passengers aboard a hijacked Indian Airlines aircraft (flight 814) in December 1999. With Sunday's attack in Uri where we lost 17 Indian soldiers, everyone from the Indian army, state officials, media persons, to retired members of the armed forces, bureaucrats, diplomats and, of course, Indian Muslims and their spiritual leaders, especially Sufi masters, are deeply pained. While denouncing the terror attack on the army camp in North Kashmir's Uri town, we also appeal to the government of India for the perpetrators of the crime to be brought to justice and that internal security, stability, army and the people of Kashmir are safeguarded from any further loss. It should be the priority of the ongoing operation in Kashmir. At the same time, India must end the agenda of replacing Sufism with Wahhabism, while resolving the Kashmir unrest.